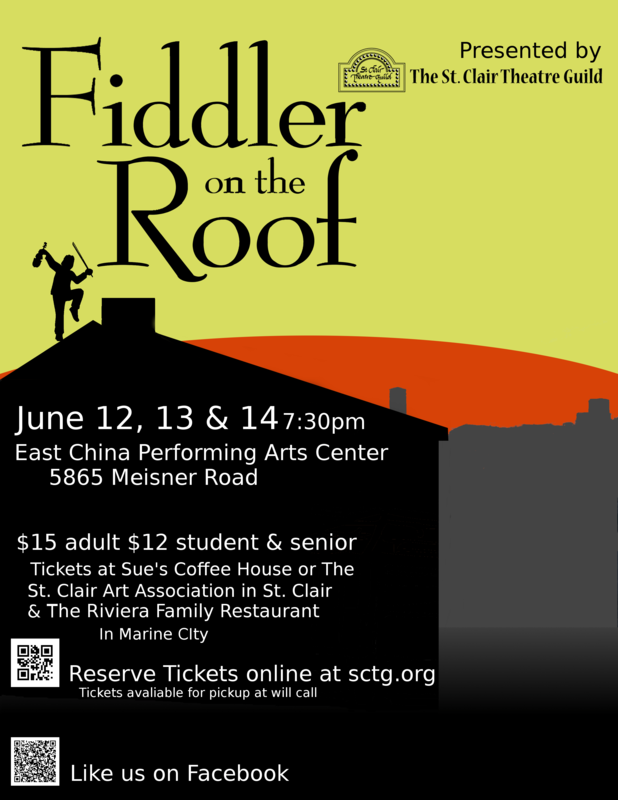 Fiddler on the Roof opens Thursday! We have cast members from all over the Blue Water Area, including St. Clair, Marine City, Marysville, Columbus, Casco, Ira, East China, China, Fort Gratiot, Port Huron, Lexington, Cottrellville, and New Baltimore. Here’s the cast list… do you know one (or more) of the villagers of Anatevka? This entry was posted in News, Performances and tagged cast, Fiddler on the Roof on June 1, 2014 by Tom Kephart.